The best apartments are those that make people feel welcome and comfortable. They might consist of high-tech innovations, extreme renovations or close proximity to work. Everyone has standards. “The best” could mean separate things for two different people. Knowing what you want and don’t want early on will make finding the best apartment for rent a breeze. How many people will be living together? This is helpful to know right away. Depending on the ages and interests of the people who wish to have the best apartment for rent, location is always #1. If it’s a group of 3 college students who like to go bar hopping, they’d have to start in the hip neighborhoods. Check out what is being offered there, how much are units typically going for? Is a two bedroom apartment enough or does it need to be three? Children should always be around others their age. It wouldn’t be the greatest idea to rent an apartment that is in a non-kid friendly building. Again, the location is key, find out where the best schools are, and see if you can find an apartment there. Are there recreational things for them to do? Is there a park nearby? Could you imagine raising your children in that apartment for life, or do you plan on the apartment rental being temporary? Location, location, location. Rent varies across mapped out lines. If the amount of money you are comfortable with spending each month doesn’t add up to enough space, consider moving out of your preferred neighborhood. Frequently, rates are higher in downtown or other urban areas. The dollar per square footage of units in such places results in more expense for less room. Going further out to the suburbs for example could lead you to find the best apartment for rent. Meanwhile, commuting should be considered as well. Think about the time, energy and money that could be spent each day if you had to travel far lengths for work or school. How do you feel about furnished? Furnished units might be the best apartments to rent. They are ready to move into and are tastefully designed with you in mind. 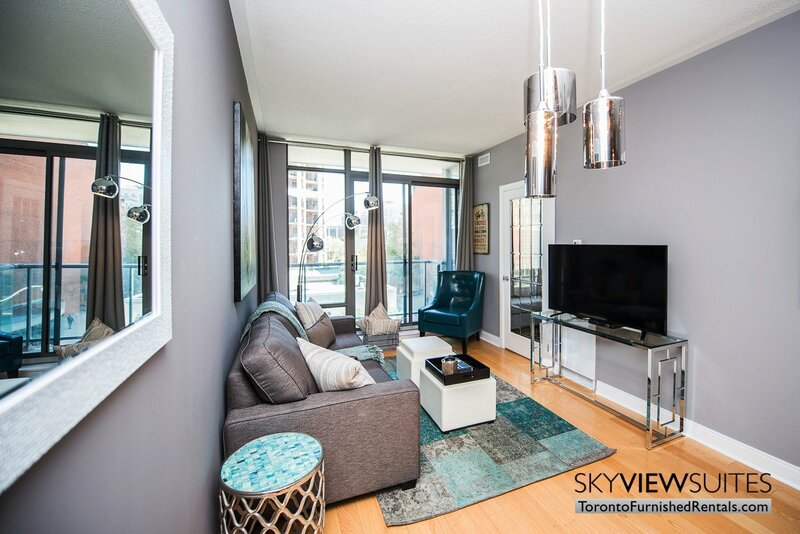 SkyViewSuites have several furnished apartments in a myriad of prices.